Supermassive is the six-year-old indie studio that has been helping out with Sony projects for years – Tumble on Move was great, Jurassic Encounter has been used to show off the Morpheus VR headset and the plethora of add-on content packs forLittleBigPlanet from the Supermassive team never fails to impress. 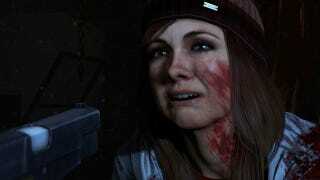 But the original reveal of Until Dawn showed us a Move-controlled first-person horror game. It got people talking, but it didn't make people want it there and then. So Supermassive went back to the drawing board. "Forget everything you know aboutUntil Dawn", executive producer Pete Samuels told us.